March has arrived, and with it, spring is beginning to blossom throughout the United States. While the northeast might be getting slammed with a couple final winter storms to close out the season, the signs that spring is upon us are coming clearer and clearer. This weekend, Daylight Saving time begins again throughout the country, springing us forward an hour and providing that additional hour of daylight in the evening most folks find so wonderful. The days are getting longer too, even without the help of Daylight Saving, and parts of the country are finally beginning to feel the warmth of the sun again. Soon enough, leaves will begin to bud on trees around the country, and you’ll finally be able to emerge from the comfort of your heated house to enjoy the season. Until then, you might need some new apps and games to get you the final few days of winter, and luckily, it’s been a banner season for Android apps. We’ve got several new apps for this list update, including a brand-new app that helps to add a Pixel-exclusive feature to any Android device, a new video player designed for watching movies at night, a brilliant money-management app with a built-in assistant, a texting app perfect for managing your mass texts, a wallpaper app that improves wallpaper picking on any device, and finally, two new games perfect for a few minutes at a time. Plus all of our apps from winter, making it a perfect time to try out some brand-new apps. Without further ado, let’s dive in! One of the newest trends in the technology world comes from tech companies trying to help users who feel overstressed and overconnected to unwind without their devices. Both Google and Apple have rolled out changed over the last year to their respective mobile operating systems designed to help people understand their phone usage and generally improve how devices affect our lives. Google’s service, called Digital Wellbeing, the service upgraded settings menu that is entirely focused on trying to improve your own usage of your smartphone. Both Google and Apple used their 2018 software updates to focus on this, with Google rolling out Digital Wellness to their Pixel devices and a few other select phones on the market for testing. Of course, if you don’t have one of those phones, you won’t be able to access Digital Wellness, leaving most Android devices without a feature that has already rolled out to most iPhones. 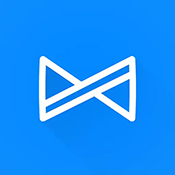 That’s where ActionDash comes in, a new app from the development team behind Action Launcher. Based directly on Digital Wellbeing, ActionDash allows you to track your activity on your smartphone, including app usage, notifications, and much more. It’s smart to think of ActionDash as a dashboard, a way of viewing your usage and working towards curbing your smartphone addiction and habits. 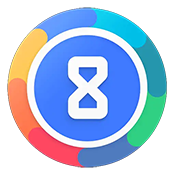 The main display of ActionDash shows plenty of content from the get-go, but the main display is a pie chart showing your usage of each app and your overall time. This helps you to see what app(s) you’re spending the most time in. Whether that be Instagram, Reddit, Twitter, or something else altogether, you can see the display of your usage here. If you find yourself using much more of an app that you realized previously, it’s easy to kick that app out of your life or to try to make an effort not to use it. Also listeds at the top of the display is your notification count—which, in our experience, is much higher than you might expect—and the number of times you’ve unlocked your phone. The app even made some useful changes over Google’s own tool, like a dark mode and making the day start at 3am, which means even Pixel owners will find it handy. If there’s one downside, it’s the limitations implemented without first purchasing an in-app license. Still, enough of the features here are easy to access, even in the free version of the app, which means most users can test the app to ensure it’s worth implementing into their lives. At $6.99, the in-app purchase might seem a bit steep, but it unlocks a ton of functionality for less than the cost of an appetizer at your favorite restaurant. Definitely check this one out. There’s no shortage of apps available online on both your browser and on your smartphone to help you save cash or to manage your bank account. Mint, You Need a Budget, Pocketsmith, and many more options you can grab today help to balance your spending, but few of them work how Albert works. A unique app, Albert allows you track your finances in real time, much like many of these other tools, but with the added helpfulness of a virtual assistant, similar to the Google Assistant built into your phone. The app has been available on iOS for sometime, but finally rolled out to Android earlier this year, bringing a virtual financial assistant to your phone whenever you might need it. The app allows you to connect your bank account to their service, just as we’ve seen with apps like Mint, allowing you to create a financial plan that fits your goals. Whether you’re looking to save some cash for a rainy day, trying to plan a vacation, or you want to start working towards reducing your debt and saving for your retirement, Albert is designed specifically to help you get there. Though your financial assistant is virtual, the app’s features come with the backing of a real financial team, helping you to plan your financials for the day, month, year, and beyond. With a fully personalized plan, you can track your financials before heading out to a bar or planning that weekend trip, saving automatically within the app with Alber Savings, and cashing in your money at any time. A fair amount of security settings helps to ensure that Albert is keeping your money secure. Utilizing the same security systems used by most banking apps, Albert ensures your information is encrypted before storing your name and other personal information. Your banking credentials aren’t stored at all, and tools like Albert Savings are FDIC-insured up to $250,000. Smart notifications help to ensure you know when a subscription fee takes place or you’ve gained money through a tax refund, and you can track your accounts from right within the app. The only major complaint with the app comes from the lack of support for certain regional apps, which may limit the audience for who can use this app. If you’re looking for help meeting your financial goals in 2019, this is the perfect app for you. We’re fans of any game that just feels fun to play, especially on mobile, where we don’t always have time to dive deep into console-level solo experiences or grand multiplayer battles. Hang Line is the perfect example of a quick, simple, puzzle-platformer designed around one of the best tools in modern gaming: a grappling hook. Anyone who’s played Just Cause knows that a grappling hook in a video game is always good news, with games like Sekiro: Shadows Die Twice adopting the tool to a period piece and Marvel’s Spider-Man using a similar tool with Spidey’s web shots. Obviously, the differences between a free-to-play mobile game and a AAA video game title are incredibly different, but it’s the same sense of kinetic movement that make Hang Line fun to play. 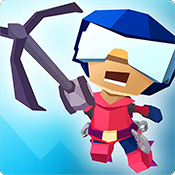 The game is simple enough: you’re a character equipped with a grappling hook, working to swing your way up icy mountain terrain in order to rescue survivors who lay stranded along each level, all while avoiding natural disasters like rocks and falling avalanches. The game offers 50 levels over five different environments, along with endless modes that allow you to continue to swing for as long as you want through the game. With 90 characters and additional add-ons through gadgets like jetpacks and stasis fields, Hang Line is a great addition to your games folder. Micro Vendor Adventures is a brand-new platforming title that promises to recreate the joy of playing games on a Gameboy Advance. You control a small Vending robot, moving soda cans around the levels to customers ordering soda. The game is fairly simple, with three buttons taking their places on the bottom of the screen as you move around each level, completing puzzles in order to properly move the can of soda. 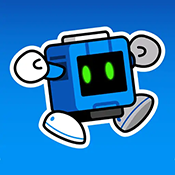 The levels, especially early on, are fairly simple, but if you need something with more challenge, the collectables scattered around each level really make things more difficult, as you’ll have to think about each solution to getting all the coins scattered throughout each level. As a puzzle-platformer, Micro Vender Adventures doesn’t reinvent the wheel, but it has a lot of fun along the way. Plenty of video players allow you to play movies and other videos you might have saved on your device, but few of them are based around watching videos at night as much as Night Video Player. Perfect for anyone who loves watching movies late at night from their phone, the app is a competent video player in its own right, but it’s really designed around those who might be catching up on their video collection in bed. Completely ad-free, Night Video Player offers a number of improvements and feature upgrade over their competition to make it a no-brainer video player to keep on your phone. 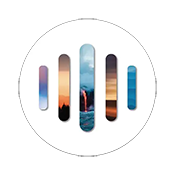 The main feature of the app comes from a voice amplification feature, similar to other settings we’ve seen on devices like Roku’s players for your television. This works in the background of your video to minimize sounds like explosions and music while amplifying dialogue, making it easier to hear the video at a lower level when playing it back in bed. The player includes dark mode by default, and can lock the player controls, making it easy to hold your phone in bed. With support for most video file codecs, the app is a great addition to your video players on your device. It can be tough to find a wallpaper app that does everything we want for the backdrops of our phone, especially on Android. There have been some excellent apps in the past, but largely speaking, every time we look at a new wallpaper app, it disappoints us in some way. Paper Splash does a decent job avoiding the traps set by other apps. As a brand-new wallpaper app, Paper Splash pulls directly from Unsplash while simplifying the experience and offering clean, minimalist backdrops for your phone. 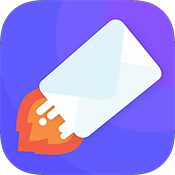 With no ads, a featured wallpaper each day, and a preview ability that allows you to see how the wallpaper will look with your icons, Paper Splash is the newest must-have wallpaper app for your device. TextBlast isn’t an app you’ll use every day, but when you need it, you’ll be happy it exists. Designed for sending bulk messages out to your friends or family at once, TextBlast allows you to write your text message while marking where names need to be swapped out for each contact. It’s not the easiest app in the world to use, but once you get over the learning curve of adding contacts to the app, it’s actually pretty straightforward. The app makes it easy not just to send out mass texts, but to make sure you don’t mess up the names of each contact when sending out your texts. An in-app purchase to unlock the app’s full feature-set does exist, but if you can make do with the limitations of the free version, TextBlast is a great new utility for your phone. There isn’t much to say about the existence of 1.1.1.1: Faster & Safer Internet, because the app is so ridiculously simplistic in its use that writing even 600 or 700 words on it is a bit too excessive for what it is. Designed by the people at Cloudflare, the web’s leading provider of DDOS protection and DNS services comes the perfect DNS application for your phone, designed to help make your service that much safer, faster, and better overall by using your phone’s built-in VPN service. Considered by Cloudflare to be the world’s safest, fastest DNS resolver, the app works to reroute your entire network traffic on your phone through 1.1.1.1., instead of the usual default DNS server, eliminating the need to configure it at a router level and making it easy to skip difficult setup altogether. The app is incredibly simple. When you open the app, it gives you a quick two page summary of what it does, detailing how 1.1.1.1. helps to protect your data and to ensure that your carrier or ISP isn’t selling your data. Cloudflare also details how the app is far faster than the competition, ranging around 28 percent faster than a standard DNS server. Once you’re past the intro screen, there isn’t much else to the application. You’ll see 1.1.1.1 in big numbers on the display, along with a simple switch designed to turn the service on and off. Once turned on, you’ll have to grant the app the ability to use your phone’s VPN service, which reroutes traffic through Cloudflare’s DNS servers. The 1.1.1.1 numbers will light up with a relaxing color motif, allowing you to tell that your service is activated and on, and you can begin surfing the web. We have no way of testing whether or not the app is actually helping to make your internet more private, but we did notice a slight speed increase in our tests compared to using our phone without the app turned on. Cloudflare is a large enough company that we have no real reason to doubt their claims about not selling user data or using it to target ads, largely because their business is built on this claim. If this ends up being untrue, it could result in the end of their business. In general, we liked that the app was simple and easy to use, and that is seemed to speed up our internet browsing speeds enough that it would make a difference in our day to day browsing. Definitely check out this app. Look, if we’re being honest, you probably have something on your phone you don’t want people seeing. Apps like Snapchat and other photo sharing services have made it easier to share risque images with that special someone, but you also risk opening you or others up to embarrassment when you hand your phone over to someone. There’s no shortage of applications on Android that try to promise private galleries and other tools to help hide your photos, but for the most part, you’re on your own when it comes to hiding those photos from prying eyes. Those galleries can help, but if you forget to move the content over to your private galleries, or you happen to miss a photo when you’re moving your content over, you can really land yourself in hot water. Enter Cover, a brand-new application that uses the same machine-learning techniques used by Google and other tech companies to help you make sure you’re always censoring your photos, moving them into a private gallery without you having to think about it. The brilliance of this app is how easy it makes guarding your NSFW content on your device while also making sure you don’t have to think about it too often in order to save yourself some privacy. The scan of your photos takes a while, especially if you have a lot of photos on your device. Luckily, Cover allows you to perform the scan in the background, which makes it easy to ensure that you can use your phone while it scans through your photos. Unfortunately, as some may expect, there is a major problem for Android users who like to use Google apps on their phone. Cover is only able to look through your local gallery, which means anyone who uses Google Photos to backup their photos online (and to save space on their phone) will find their Photos library unchecked and unprotected. It’s not perfect, but it’s also not Cover’s fault. Still, it’s a little disappointing when you consider how many photos may go unprotected. Overall, Cover seems like a really great alternative to the standard password-protected galleries, helping users find their images before someone who shouldn’t see them goes through your photos. Despite the flaws, including slow scanning times and a lack of Google Photos support, anyone who has a local library of photos that may contain images not safe for work will find this app to be a lifesaver. Just keep in mind that, once your photos are stored in the gallery, you’ll have to keep the app on your device in order to see them (or reinstall the app from the Play Store). We live in a connected world, one where we are, as the saying goes, always online. This has no shortage of effects on how we live our lives, but one major way that I think we all can admit to having is problems falling asleep when we have our phone right next to us. From having to check Twitter one more time before we fall asleep to listening to a podcast or watching just one more YouTube video, you end up keeping yourself awake when you really should be sleeping. No matter how much we try to put our phones down in order to go to bed, it can be really difficult to shut your brain off and disconnect from the web, especially when it’s right next to you. We can’t promise that Go to Sleep is going to do anything for you to help, but hopefully, what it will do is allow you to remember when it’s time to go to bed, and more importantly, when to put your phone down. In a world where both Apple and Google are working towards trying to change how you use your phone by turning on Do not Disturb, putting your display in grayscale, and other mental tricks designed to put you to sleep, or to get you to use your phone less, Go to Sleep uses a much simpler approach in order to leave everything up to you. It’s an open-source tool designed to make it easy for you to remember exactly when your bedtime is, especially in a world where it can be all to easy to not pay attention to that clock in the corner of your display. Once you set your bedtime in the app, the app gives you a clean, nice looking display of how long until you’re supposed to go to bed, with the hours displayed in large font and the minutes in a smaller display beneath. Diving into the settings gives you some options for how you want the app to work, including resetting your bedtime to a new choice. You can turn on automatic Do Not Disturb with this, a great feature if you aren’t on a Pixel device where automatic Do Not Disturb is included in your normal settings. Otherwise, settings also allows you to control how often you see notifications on your display. Want to see them every fifteen minutes, or every five? Only want one reminder about when you should be heading to bed? You can do that too. The app allows for full customization within the settings, making it a great choice. Go to Bed still requires a fair amount of self control from the user, but that said, it really helps that the application makes it easy to customize your experience. Even something as simple as a push in the right direction can really help users get themselves to bed, making this an obvious app to grab if you, like many of us, have issues falling asleep. The app is open-source and features minimal advertisements, meaning everything is really on the up and up. Definitely don’t skip this app. Speaking of having trouble sleeping, one of those apps that keeps us up the longest at night is by far Reddit. As addicting of an app as we’ve ever seen, Reddit builds a curated community of posts, videos, content, and so much more that makes it really, really hard to log off of, largely thanks to how addicting it is. From the front page to your own curated subreddits, it’s easy to find yourself getting sucked into a hole of posts, falling deeper and deeper as the hours pass. Even if you aren’t trying to fall asleep, Reddit can be an incredibly informative source, but it can also drag you into an entire space where you’re not just unproductive—you’re actively harming yourself when you’re trying to get work done. That makes NoSurf for Reddit an ideal app for anyone looking for a way to get the most out of Reddit while also limiting their use of the popular social news aggregator. The app is very purposefully limited in what it can and can’t do, making it perfect for anyone looking to access Reddit content while also being able to put an end to their incessant browsing. For the purpose of this review, we’re looking at the app as though you have an actual Reddit account, complete with your own subscriptions to subreddits that strike your interest, because Reddit is at its best when you’re using it as a curated community. Once you’re logged into NoSurf, the app greets you with two tabs: r/All and Your Subreddits. R/All allows you to browse Reddit’s main page, complete with the most popular posts of that specific day. It’s a great way to get an idea of what’s currently popular. Meanwhile, the Your Subreddits tab acts like your own personal front page whenever you view Reddit on their own site or on the traditional mobile app, giving you a taste of your subreddits’ most popular posts. If you’re subscribed to a bunch of gaming subreddits like we are, that’s what you’ll see here. So far, this is a pretty straightforward Reddit app, with a slightly-dated design that manages to get the job done. So, if you’re wondering what makes this app unique to any of the other fantastic mobile apps for Reddit, it’s simple: the lack of browsing. Scrolling to the bottom of either of these tabs within NoSurf won’t load additional posts like every other Reddit client, making it easy to escape from the constant loading, reloading, and browsing that often comes with being on Reddit. Likewise, you can’t browse new subreddits, you can’t load content from your subscribed subreddits, and you can’t go looking through new content once you’ve ran out of browsing data. Likewise, the app only shows you the top three comments on each post, without the option to view threads or replies. It truly makes it easy to gain access to the main stories on your Reddit account without getting sucked into a deep, dark hole of browsing new content. Ultimately, it’s hard to find any faults with NoSurf outside of some basic design flaws, with the interface looking a little dated. You could argue the app is a bit limited in its usage, but with that being the idea behind the app, it’s incredibly difficult to judge the limits of NoSurf as anything but something to be happy with. And considering the app lacks all sorts of features people don’t like, including ads, a lack of privacy, and so much more, we can’t help but to give a big thumbs up to this application. More than ever, media companies have tried to push new ways for users to discover their content. Whether that comes down to innovating how stories are made, like The Washington Post publishing on Snapchat, or creating new experiences for users by opening up new apps with flashy graphics and new distribution models, news sources have tried their best to adapt in a new media marker. We never thought we’d be surprised by the way a news company experimented with getting users the news, but here we are, looking at Yahoo Play and wondering how the hell this ended up being a real product. Don’t get us wrong—there are plenty of things to like about Yahoo Play, but the app is so strange, it’s worth looking at in full detail just to figure out what Yahoo is trying here. The easiest way to describe the app is to compare it to something like a cross between Snapchat, HQ (the trivia game on your smartphone), and Yahoo News, albeit with the app solely focused on celebrity, pop culture, and entertainment news. The app features several different game modes that allow you to learn about what’s happening in the world of entertainment while also answering quizzes, trivia, and more in order to move through the stories. For example, the Drop is a roundup of pop culture stories throughout the day, but one that specifically relies on asking whether you know the news stories they’re quizzing you on. As mentioned, Play sticks to fairly light-hearted content, and the stuff you’re asked to interact with doesn’t harm, hurt, or challenge in any way. For example, Pop Play asks you to test your entertainment knowledge by asking you pop quiz-style questions about what’s going on in media. Last Night Now leaves the pop quiz questions behind to talk about what happened on television the night before, something Yahoo used to do with their Water Cooler-style shows. Nailed It or Next asks you to to rank your favorite red carpet looks, making the show primarily about beauty and fashion, while Beat the Street is another quiz-style show but one that unleashes the host onto Londoners on the street to answer questions for the entertainment of the folks at home. As you might expect, there are far from the only shows on the platform. Yahoo Play uses a Snapchat-esque layout that allows you to pick from the shows like you would Stories on the Snap platform, but frankly, it’s a bit of an unintuitive interface. Our real issue with the app comes from the same struggle we have every time we review a Yahoo app, no matter how interesting an idea: the app forces you to have a Yahoo ID, either through creating one or through signing into the app with your current ID. Yahoo lost user data on every single account they had on their service in 2013, and it makes it really difficult to tell users to go sign up for their service when they have had such rampant privacy issues in the past. Still, if Yahoo Play sounds like something you might be interested in, we highly encourage users give it a shot. It’s a fascinating utility, even if it has its problems. Really nice list of Android apps for the month!